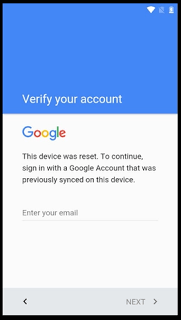 Huawei FRP lock (Factory Reset Protection program), Our Huawei Google Account Bypass Service based on the data protection feature for Android users is a real hurdle for those who forget their Google account ID/passwords or who uses a second-hand purchased via online or some other sources. Thanks to the technology, as Huawei users, we have Huawei Google account bypass service and other FRP lock bypass methods. That being said, we wanted to remind that for a person who isn’t techy enough to follow the how-to-guide of the FRP lock removal tools, remote assistance is a boon. Yes, with remote assistance service, Huawei FRP bypass will be a cakewalk for many. Place an order regarding Huawei Google account bypass method. For this ‘Huawei Google Account Bypass by our paid service’ all you need is a PC with stable internet connection. Download and open AnyDesk software for your pc from here. For this ‘Huawei Google Account Bypass by our paid service’ all you need is a pc with internet connection. To share your desktop, key in AnyDesk address and accept the connect request from AnyDesk support to assist you remotely in bypassing Huawei FRP lock. Now sit back and relax for few minutes. Auto restarting of the phone indicates FRP lock is unlocked. AnyDesk service for Huawei FRP Unlock works well with Windows 10, Windows 8, Windows 7, and Windows XP. Since it is portable by default, the installation procedure is just like a regular program. Besides, as and when the session starts, users can enable the mouse and keyboard control, take a screenshot of the shared device, and synchronize the clipboard. File exchanging and chat functionality are also supported by AnyDesk service for Huawei FRP Unlock. And, it is possible to protect the machine from unauthorized access with a password too. If you have privacy concerns, let us remind that it will encrypt all data to account. Undoubtedly, it is worth giving a chance. Place an order here to get your service. In order section must double check your mentioned email because we will email you instant to assist you. So use our Huawei FRP Unlock Serivice for Huawei FRP lock bypass for all huawei models. For this, place an order and your job is finish. We will do everything remotely to unlock your google account on any huawei phones. And, by the way, if Huawei Google Account bypass removal service works for you, don’t forget to let us know in the review section of the page. If at all you’d like to explore more Huawei FRP lock bypass tools, there’s nothing wrong with utilizing your ‘Search’ skills to explore them.